EVO 1 Treadmill is driven by a continious dc motor of 3.0 HP. This residential treadmill has a maximum weight capacity of 400 lbs. Its large running area, orthopedic belt are some of the attractive features of non folding type treadmill. Other standard features include Motion Control", wireless heart rate control and a large ultra clear LED console. User weight capacity – 400lbs. 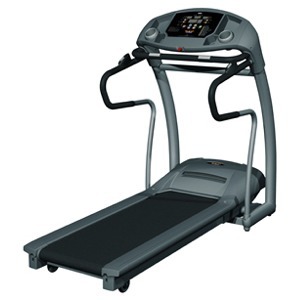 Treadmillreviews.net 2.5 out of 5 The EVO 1 treadmill is a high-quality machine with a great shock absorbing system. Still, customers might get more value from Smooth treadmills, which are manufactured by the same company. TreadmillDoctor.com 6.66 out of 10 The main upgrade from the FX60HRO is the nicer display but we don’t think that is worth the extra $500. *Note: Most of the sites, stores or shopping portals listed above sell EVO 1 Treadmill with discounts and other exciting offers. There is a possibility that the some of above websites are not selling EVO 1 Treadmill now. Toughtrain.com is not liable for such cases or instances. Also we do not recommend any seller for EVO 1 Treadmill and a buyer should buy from where he/she gets best deal with quality of products, service and on time delivery (shipment).